It's Back! Save $900 (Seriously) On Samsung's 65" Quantum Dot-Powered 4K TV. 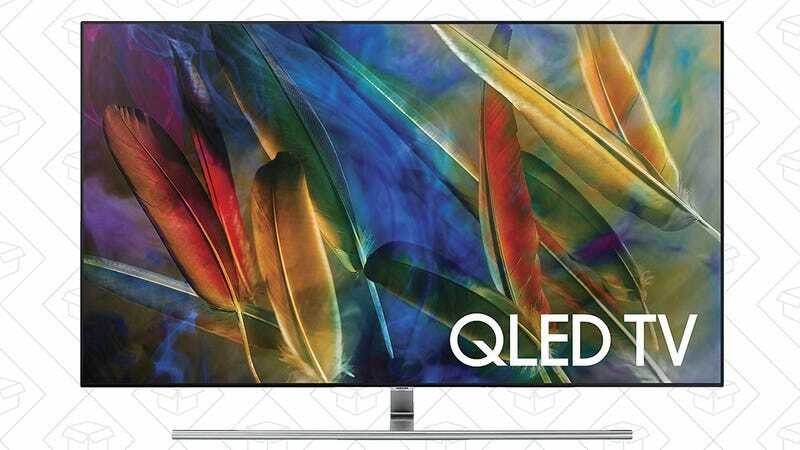 Samsung’s quantum dot-powered Q7 TV isn’t exactly easy on the bank account, but it would be a stunning upgrade to your home theater, and you can once again save $1000 on the 65" Q7F today, if you missed the deal last month. Okay, so with that background out of the way, Samsung’s 2017 Q-series TVs utilize quantum dots to great effect. That Gizmodo review is about the Q9, rather than the Q7 that’s on sale today, but most of it should apply to either set. The Q7 has fewer local dimming zones and a less-premium industrial design, but it’ll still be the best looking TV you’ve ever owned. The 65" model currently sells for $2700 on Amazon (and that’s an all-time low), but you can get it for $1800 from MassDrop.